Former 4 divisions world champion Nonito Donaire wants a comeback and now signed with Ringstar Promotions, planning to face worlds best including Mares, Santa Cruz and Frampton. After a lost against Jessie Magdaleno last year, Donaire hasn't fought any body, and his former promoter Top Rank didn't continue his contract. However, Donaire is now managed by his new promoter Ringstar, the promotions started just last year but build strong events, including Frampton vs Santa Cruz, Cuellar Marres and Lopez vs Corral. The Ringstar Sports is an international, world championship boxing promotions company formed in 2016 by Richard Schaefer, former CEO of Golden Boy Promotions. 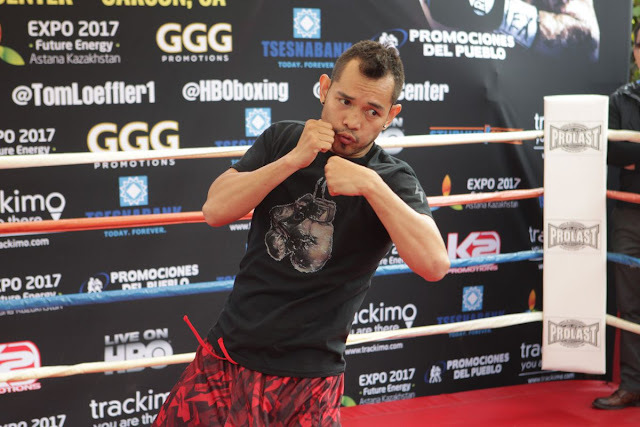 "Exploring what was out there in the new landscape of boxing was unnerving and exciting at the same time," said Nonito Donaire, "I have known Richard for many years and have always respected what he has been able to do for the fighters he promotes. At this point in my career I want the biggest fights possible and Richard's track record to deliver them speaks for itself. The thought of the mega-fights against the likes of Mares, Santa Cruz, Selby or Frampton gets my blood boiling. The next chapter of my career is starting now and I am excited to say that it is with Ringstar! I am grateful to my fans and team for their continued support!" "Nonito is one of the modern day legends of our sport," said Richard Schaefer, Chairman and CEO of Ringstar Sports. "One of these rare fighters that always delivers and always knows how to entertain! I am convinced that he will again become one of the pound for pound best fighters in the world. No doubt about it! I want to thank his wife and manager, Rachel Donaire as well for the trust she places in me. We can't wait to get going!" The Filipino fighter also said that fighting bigger opponents makes him excited and he plans to comeback this September.